It's Flashback Friday! 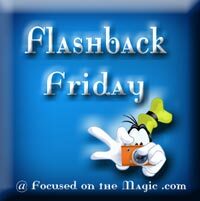 Time to once again dig through my old pictures from Walt Disney World for a flashback. This week's photos are of vintage 1¢ gumball machines found on The Streets of America in Disney's Hollywood Studios. 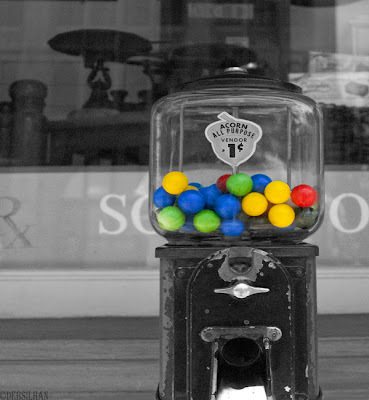 Gumball machines first became popular in the United States in the early 1900’s. They could be spotted in front of drug stores and 5¢ and 10¢ stores all across America. This is the only place you'll see gum in Walt Disney World though. No gum is sold on property! You will have to BYO gum if you want to enjoy gum chewing pleasure in Disney. Do you have a favorite color gumball? Mine was always red! Join me-Link up your Disney Flashback Photo!